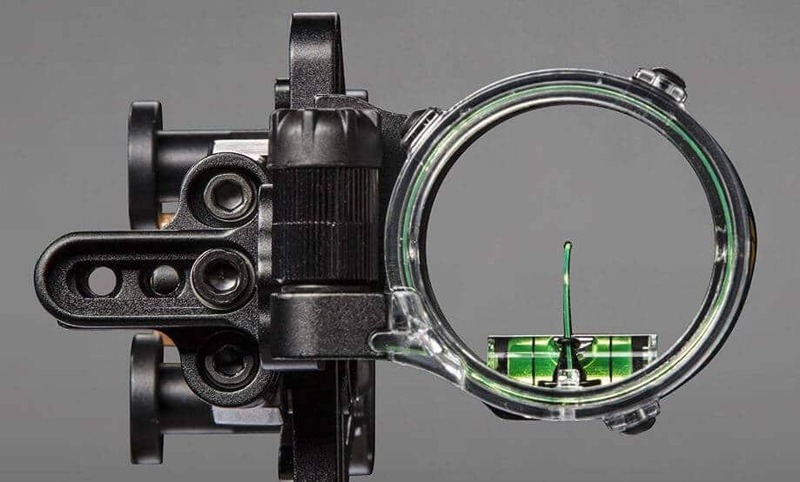 What Are Bow Sights & Why They Are Needed? Which Hunting Bow Sight To Choose? Bow Sights for hunting are crucial if you want to have a good aim. There are many kinds of hunting bow sights available at different price ranges having distinct features. 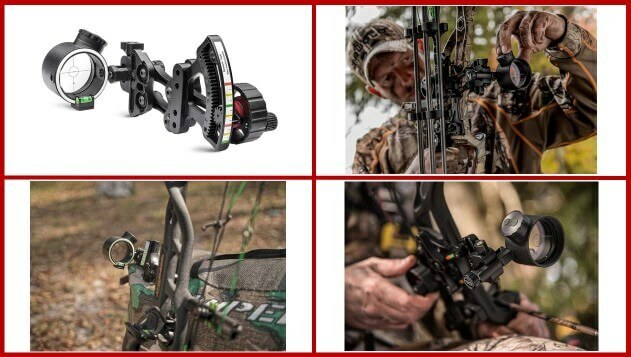 In this article, we’re going over some of the best bow sights for hunting. We’ll also see the necessity of a bow sight later in this article. Then, we’re going to group them in a group of each three types: Single Pin, Multi-Pin and of course, Digital. We’ve listed some of the best hunting bow sights in each section and reviewed them on the basis of their features. A single pin sight has one movable pin that helps you to aim. The pin can be moved manually and set in the right spot for you to make the shot. These hunting bow sights have a “sight tape” marked with different distances. An indicator pin is featured on the sight. You need to move it along the sight tape to the yardage of your shot and when you adjust the indicator, the pin moves towards that direction. The Trophy Ridge Pursuit is a reasonably priced entry-level single pin bow sight for hunting. This bow sight is available with a single pin feature. It comes with a great design and has a high-performance pin to adjust the precision of the scope. 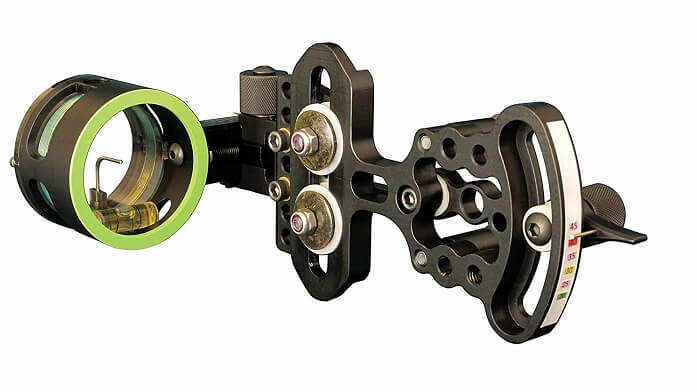 Although it suits all levels of hunters from beginners to professional, this bow sight has been selected as one of the best bow sights for hunting, or more specifically, it is one of the best single pin bow sights for hunting. The Trophy Ridge pursuit is a great bow sight to own that can be mounted on any type of bow. Although it is a bit difficult to adjust the pin of this bow sight, considering the other features and reasonable price tag, it surely is a great buy. 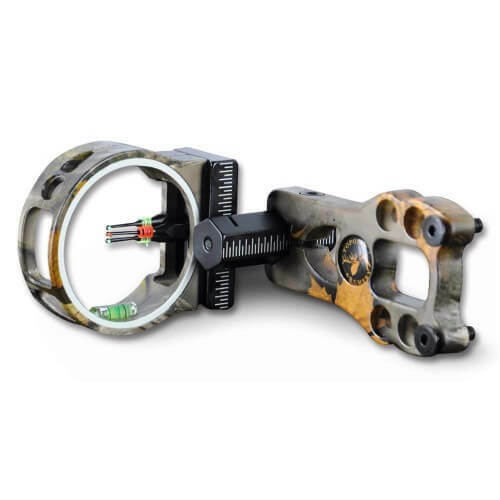 The Fuse Helix slider is a durable bow sight available at an affordable price. The bow sight comes with a stealth band technology which makes it very quiet. It features a single pin which is made from precision steel. The bow sight is compatible with both your hands and it also has a sight lite included so, you don’t need to purchase it separately. Despite being a bit expensive, the Fuse Helix Slider is one of the best hunting bow sights that you can get. The adjustable sight with yard settings give you much freedom to scope your target. As a cherry on top, the bow sight also comes with a precision steel pin to make your aim even better. The GWS ProHunter AR Series is an entry level sight that has great adjustment features. It has an included sight tape which is both graduated and blank. The brightness of the pin is extreme as well which makes it a bit easier for you to aim. In addition, it has a great deal of fiber optics wrapping. This sight is best suited for indoor as well as several outdoor activities such as shooting. If you hunt with this sight, it can be a bit tricky as it is a bit difficult to adjust. You can get the scope in 2 sizes .029″ or .019″. The weight is 7.84 oz. The GWS pro hunter is a lightweight scope that has a durable construction. Since it is available in 2 sizes, it can be suitable for people needing different sizes. The one downside to the sight is that it’s not really meant for hunting. If you’re just targeting & shooting and want to improve your aim then, you go definitely go for it. The HHA Sports bow sight is an ideal scope for hunting. 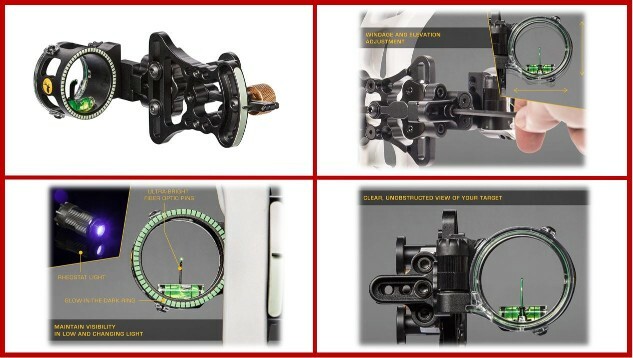 The HHA bow sight has all the features of a great product with an excellent design and smooth operation. The wheel forward design has interchangeable wheels which allow you to change arrow quickly. The bow sight also enables you to try out a new draw weight combination. 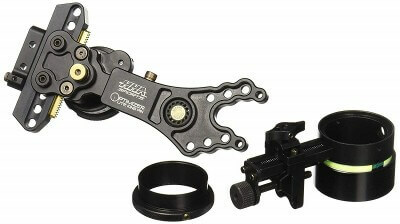 For the great adjustment feature, it is considered as one of the best single pin adjustable bow sights. The HHA bow sight is ideal for hunting because of such a wide range of customizable options. The letdown, however, is that it is difficult to use, mainly because of these options. Other than that, you can buy it without any thinking. It is suited for intermediate hunters. We’d recommend new hunters to look for something else. 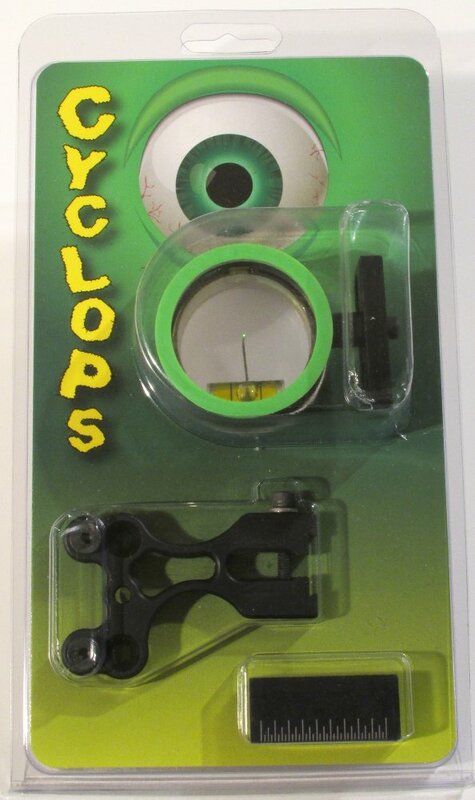 Cyclops Archery Sight has only a few reviews from its customers but all of the reviews are positive. This is mainly due to its superb build quality, really bold design and the performance to match the design. It has many good bits and there aren’t any huge letdown. Specially, considering the features of the lightweight sight, it is considered as one of the best bow sights for hunting. The Cyclops Archery Sight has a solid Aluminum construction with an impressive design that has only 3.5 oz. The scope housing is 1.75 inch of the ID and the scope is durable. The only minor flaw is that the sight is available with the right handed option only. 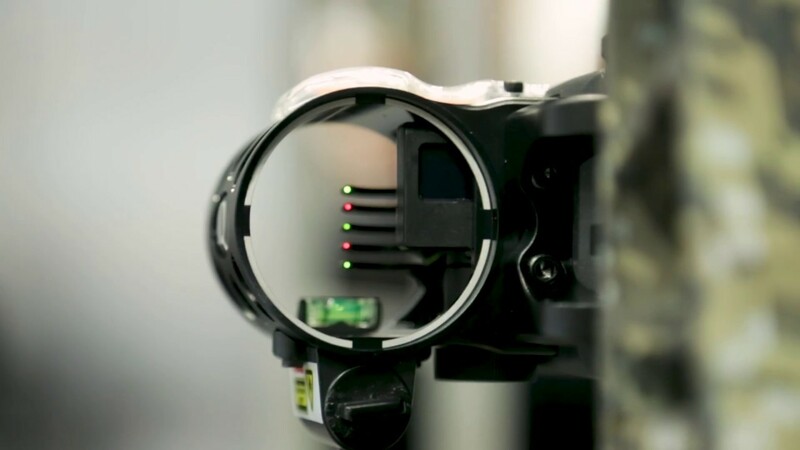 A multi-pin sight comes with three, five or sometimes even seven pins that are meant for certain distances. These pins are fixed in place and they can only be adjusted with tools. For instance, you can set a seven pin sight in a way that gives you a distance of 10, 20, 30, 40, 50, 60 and 70 yards. The pins can be held dead on your target at these distances. You can then aim either high or low with the appropriate pin for the distances between them. TOPOINT Archery bow sight is one of the top archery brands around with great build quality. The aluminum build is matched by the adjustment features for both right and left-hand shooters. These pins have fiber optic build quality. 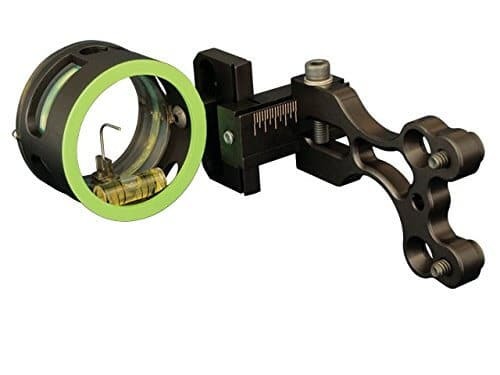 Considering the features & price, this bow sight is considered as one of the best bow sights for hunting or more specifically, one of the best multiple pin bow sights for hunting. The TOPOINT Archery 3 point bow sight is a bow sight that can last for a long time and it is also very easy to use. The only thing that is a slight negative for this scope is the adjustment. Other than that, the sight does all the work that it is intended to do. The Trophy Ridge Mist Sight’s performance is top notch and the visibility that this sight provides is quite extraordinary. In addition, it is meant for shots that are aimed to be precise. A green hood accent provides a better sight. Also, several customizable features are the highlights of this sight. Based on the high-performance feature, it is surely one of the best multiple pin bow sights for hunting. 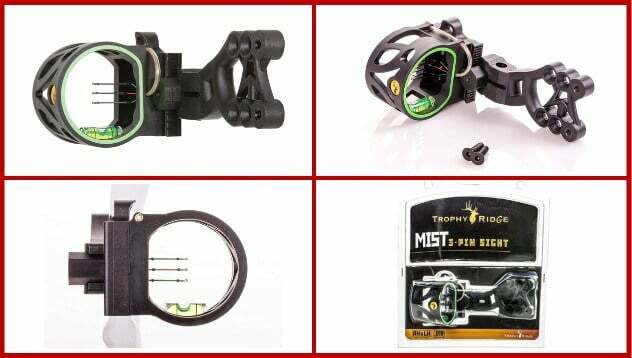 Design and Performance wise, the trophy ridge mist sight is a great deal but the actual build quality is a bit fragile. If you are someone who is really rusty with your gear then, you might want to look elsewhere. Unlike the name, the Trophy Ridge Joker Bow sight is no Joke. Well, pun intended but seriously, this bow sight packs quite a punch. 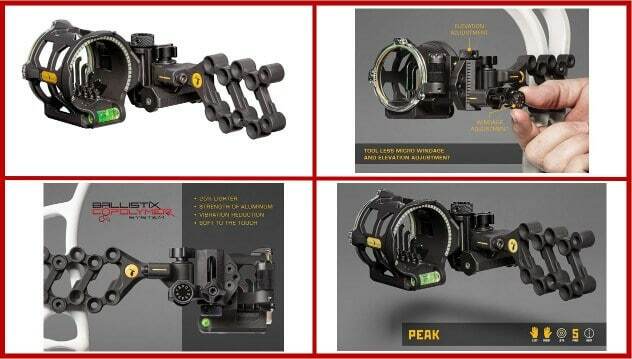 With an ultra-bright optic and reversible mount, it surely represents itself as one of the most desired sights. In terms of ease of use and performance, this bow sight can be marked as great. As like the trophy ridge mist sight, the green accent is here too and the sight is meant for both hands so, that’s a plus. 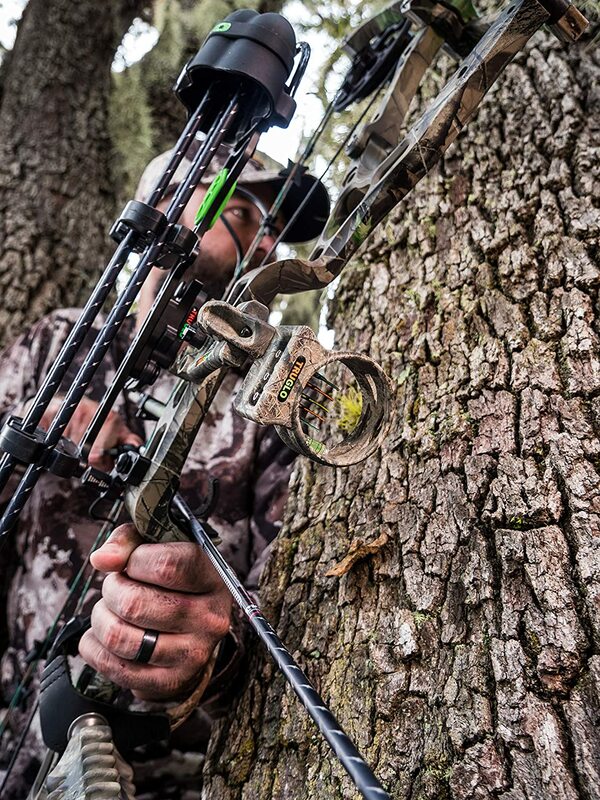 As with the Mist sight, trophy ridge’s Joker bow-sight isn’t the dark knight when it comes to it’s built. Yeah, sorry for that reference but that’s just how it is. Apart from the noticeably fragile build quality, other aspects of the sight hit hard. Design, Performance, Customizability are all wonderful and the best thing, you can use it without an issue. 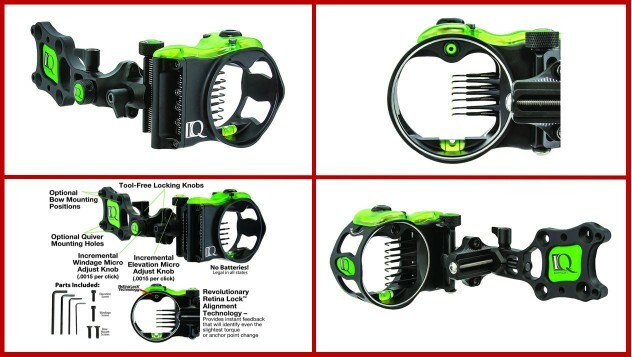 The Field logic IQ series has retina lock technology with micro adjust knob and the IQ Pro XT is a better version of the Field Logic Pro series. It comes with 7 pins and is for only left hand with built-in sight level. The sight can be mounted easily and an adjustable second axis is also included here. The Field Logic IQ Pro XT bow sight is meant for left-handed people. if you’re a lefty then you can go and purchase it, otherwise, you can try out the classic Field Logic IQ which we have reviewed in this article too. The Pro XT has a durable build and a trusted design. The features are there and you get almost similar features on the classic Logic IQ sight, The Pro XT, however, has 5 to 7 pins while the classic Logic IQ has 3,5 and 7 pins. The choice is yours to make. The Field Logic IQ bow sight has a retina lock technology that provides you with better vision. The knobs can be adjusted with ease and there are 3 types of pin options. The adjustable 2nd axis adds another dimension to this already dope bow sight. When the number of features increases, so does a product’s complexity and this is what lets the Field Logic IQ Bow Sight down. It’s really difficult to master all these features for an average hunter. You’ve gotta be an avid hunter to fully comprehend the product. 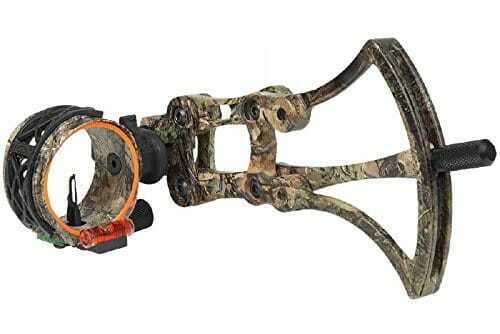 The Peak by Trophy Ridge is a 5 pin bow sight with a lot of features. The sights performance is something to talk about. With the excellent pin technology, you will be able have a clear view of the target. You also have significant control over the adjustments and the overall outlook of the sight is impressive. The trophy ridge peak is another well-rounded bow sight that has an extremely good performance. The visibility of the sight is great and it reduces vibrations in a significant way. The bow sight also comes with a vertical in-line pin technology that gives you a really good view of the target. The only downside here is that the bow sight’s pin head is a bit flimsy. 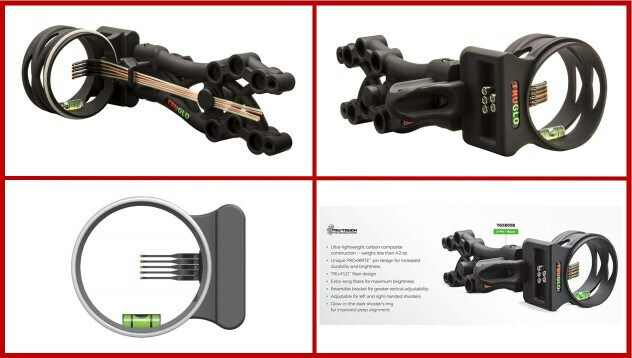 As you’d guess by the name, the TRUGLO XS Xtreme has a carbon built and a unique design. It looks like a futuristic bow sight and it even comes with LED lighting. The sight is very bright and it can also be used at night. It is a very good choice for hunting and it can be used for other purposes as well such as target shooting. 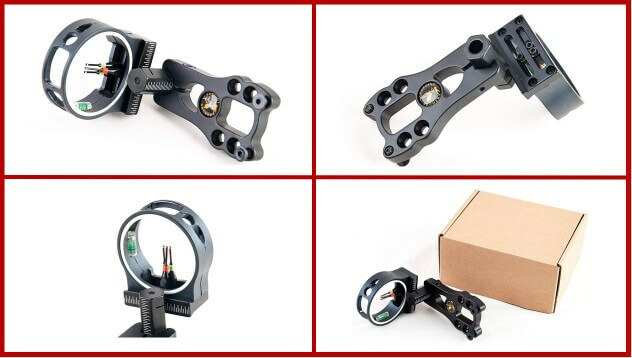 Not only these other features, this particular multiple pin bow sight is highly recommended because of its lightweight feature and considered as one of the best 5 pin bow sight. The Reversible bracket allows for greater vertical adjustability. The bow sight has a lot of good things about it. There are a lot of bonus features and the design, performance, everything about it is pretty great. The only downside is durability. Since it has a lightweight design, it’s safe to say that the device won’t last that long. It although depends on how you use it though. 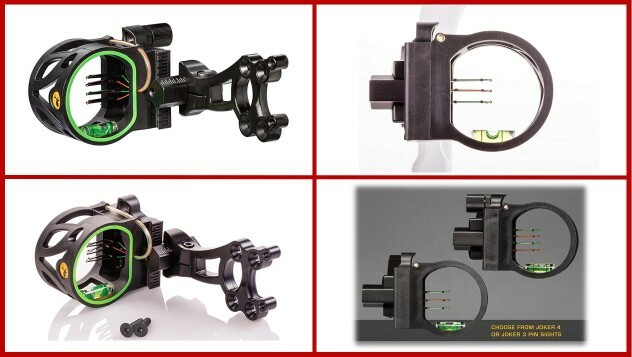 The Great Deals LLC sight is a 3 pin bow sight which offers a decent performance. It comes with an affordable price tag and it is meant for all types of new archers. Considering the features, this bow sight can be used while hunting without any hassle. The build quality and the design of the Great Deal LLC is acceptable. The only thing that is a bit of a bummer is the actual visibility of the said scope. It doesn’t compare with some of the other products on our list. Having said that, it can be said that this product is no way inferior. On the contrary, it actually does what it’s meant to do. A digital bow sight does two things, it tells you the range of your target and sets a pin that is virtual at the point to provide you with a precise shot. These bows help you get a clean kill when you’re out hunting. The bow sights are a bit expensive but they’re high tech and they’re specially meant for young hunters who love technology. 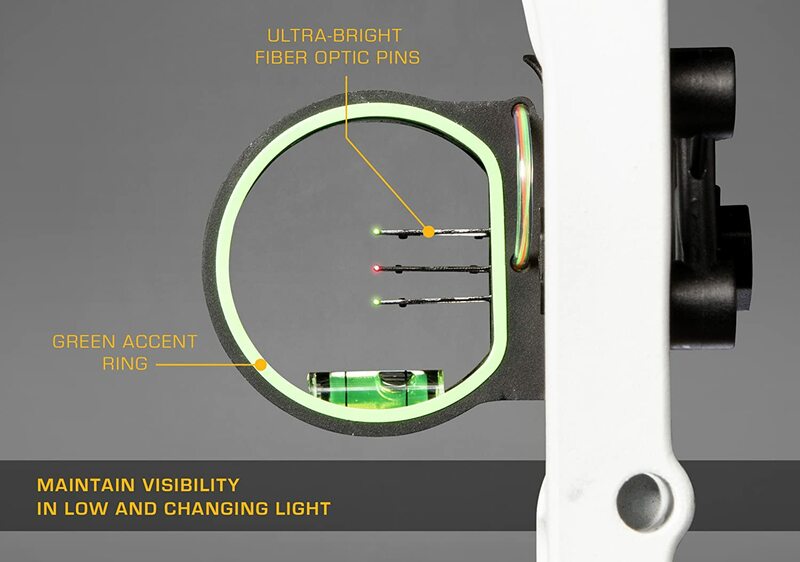 TRUGLO PRO LED bow sight‘s main feature is the much acclaimed illuminated center dot technology. The green LED aiming point takes place of the pins so there are no obstacles to your aim. There are 11 brightness settings for the center dot and a light-sensitive ring around the 0.5-inch housing. A battery is included with this bow sight as well. Considering all the features, this bow sight is considered as one of the best digital bow sights for hunting. The TRUGLO Range Rover Pro has one letdown and that is the glare problem because of such a bright center dot. This, however, only happens when you’re at a certain angle from the sun. Sometimes, even a bright day won’t have the glare while other times, even on a hazy day you can suffer from this annoying glare effect. Other than that, the bow sight does just fine. 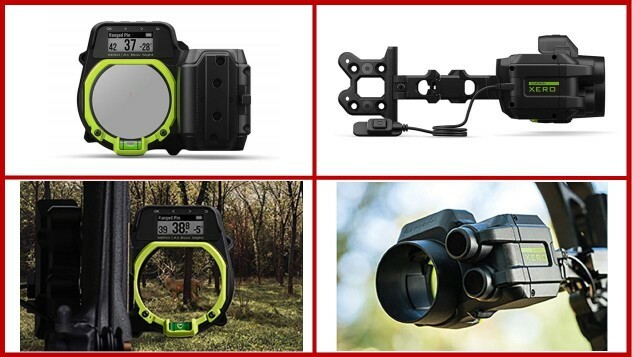 Being a digital bow sight, it has all the features that you’d expect and will probably make your hunting experience quite fun. 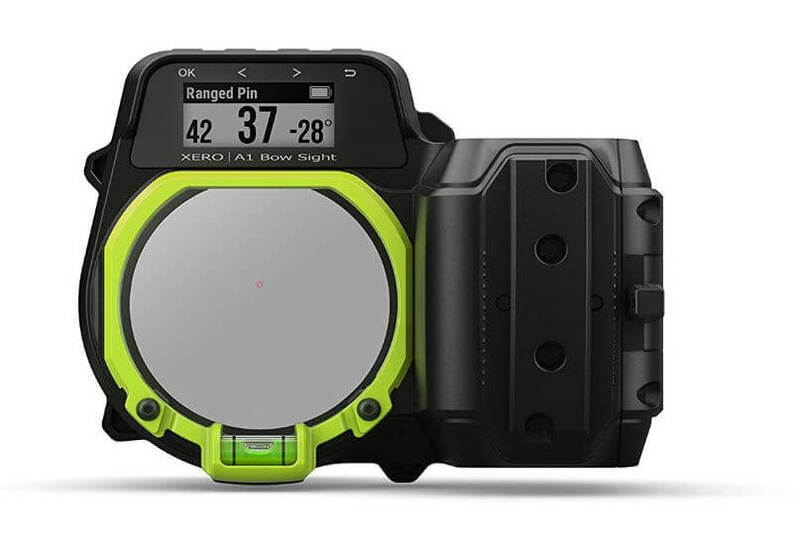 The Garmin Xero bow sight is one of the best digital bow sights out there. It is automated meaning, the bow sight measures the distance to the target automatically and gives you a pin on the target on the LED to shoot. How cool is that? This bow sight will make your archery experience much better. Either target shooting or the hunting experience will be a lot easier, especially if you’re a new archer. It is an Auto-ranging digital bow sight. This unique feature enables this bow sight to automatically calculate the distance between you and your target. On top of this amazing feature, this sight provides an LED pin to help you aim. It has a Silent single-button trigger and this trigger works with minimal movement. This excellent trigger system allows you range at rest or full draw up to 100 yards in a game situation whereas in terms of reflective target, it can go up to 300 yards. The battery life is of 1 year with 2 Lithium AAA batteries, the batteries are not included though. As far as the pure sighting goes, this is probably the apex of it. The Garmin Xero A1 bow sight is something to be proud about if you own one. The build is solid, it can be customized to your liking, has high tech automated distance finder. The design of the bow sight is premium. Let’s be honest, What else do you need? There are no flaws here but a minor letdown and that is the display of this bow sight freezes sometime. Hunting bow sights are the scopes of a hunting bow, their job is to provide a good aim for the hunter. They’re mounted on a bow riser. With a bow scope, chances of hitting a target increases. They’re used in a wide range of activities like hunting and archery. A Bow Sight is necessary for hunting because it can be used to scope a target at a distance. A hunting area is quite big so you’d need any help you can get. A bow sight will probably help you in this. A bow sight is also very handy for new hunters who’re trying to get in the hunting game. There can’t be a definite answer to this question. It depends on the kind of hunting bow sight you want. Here, we’ve explained the advantages and disadvantages of different kind of pins for you to make an informed decision. The main advantage of a single pin bow sight is no error rate which means you can’t choose the wrong pin. You can adjust a single pin wherever you want. Since there’s only one pin, the bow sight also provides a more clear picture of the target. This can exponentially increase your chances of hitting the target. 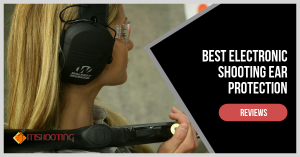 Another huge advantage is, you don’t have to aim high or low, the shot can be taken at any distance and you can always paste your one pin directly on the target spot. The main con of a single pin sight is that it gives you a single reference point for aiming. 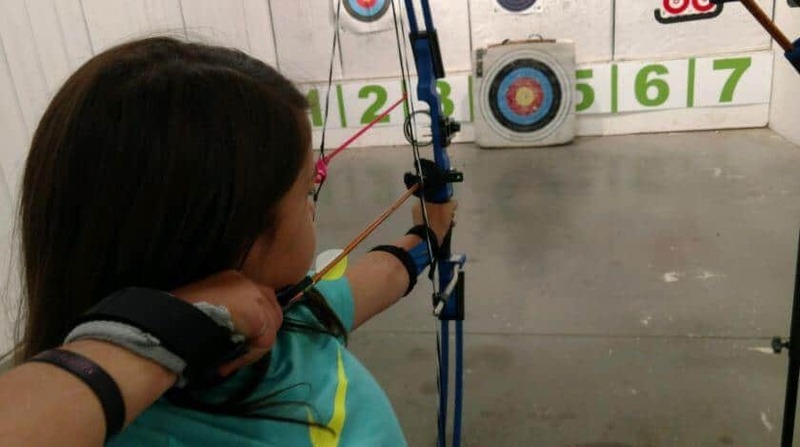 If your target moves when you draw the bow, it is difficult to keep the aim intact. The large knobs present in these bow sight also makes pin adjustment a bit tricky. These bow sights aren’t really meant for new hunters. Experienced veterans can make use of it though. Multiple Pin bow sight decreases your manual labor. The pins allow you to adjust different target distances and you don’t have to physically do it. If your aim is 30 yard and your target moves to 40 yards then, all you can do is aim with a different pin and you’re done. One huge disadvantage here is that you can choose the wrong pin. Say your target is at 30 yards but you set the pin at 20 yards, your arrow won’t reach the target. In addition, you have to shoot either low or high for a precise shot. If you don’t do this, there’s an error in your shot. Multiple pins also get the sight cluttered so, it will be hard for some hunters. A digital pin bow sight allows you to take a shot with a better aim since all you’ve got to do is aim and shoot. Every pin adjustment is automatic and it even gives a visual representation of the target making it more easier to shoot an arrow for new hunters. The main disadvantage of a digital pin bow sight is that it is difficult to be used by the older generation as the bow sight has a lot of settings involved. A bow sight shouldn’t be too complicated. It should have a really easy setup and usage so that you can get more benefits out of it. 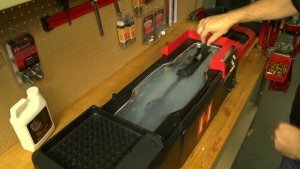 No matter what kind of sight it is, a bow sight needs to have easy adjustments. There should be a lot of customizable options in a bow sight. Another crucial thing is the build quality of the sight. Your investment shouldn’t go astray, get a bow sight with preferably aluminum build. Also, make sure you get the bow sight at a relatively reasonable price. We can arguably say that bow sights are no longer a luxury. They are a vital part of the sports of archery especially when you’re a hunter looking for that satisfying kill. You can get any of these products that we’ve reviewed without much thinking and enjoy your hunting experience. Q. Will a Digital Bow Sight guarantee success while hunting? Ans. No, It will definitely increase your chances but it doesn’t guarantee anything. Q. Will a bow sight make a difference while target shooting? What about hunting? Ans. Yes, A bow sight will make a lot of difference either you’re shooting targets or you’re hunting. Q. Should you know all the customization tricks before buying a feature rich bow sight? Ans. Not really. You can definitely get a featured bow sight and learn everything gradually. There are certain sights which are difficult to use though.